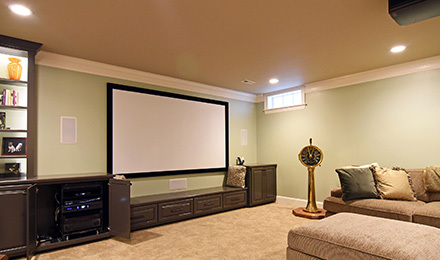 Get Digital is a custom audio/video installation company that sells and installs quality products and provides service for builders, contractors, and homeowners all around the Richmond, Virginia metropolitan area. Our expert team of installers will assist with all facets of designing and building the ideal, custom home entertainment environment that you can showcase with pride. "It is incredibly difficult to find advanced technology, extreme attention to detail, and uncompromising service at a very competitive price that we have received from Get Digital and specifically Mike Kemp! I enthusiastically recommend them at the very highest level!" 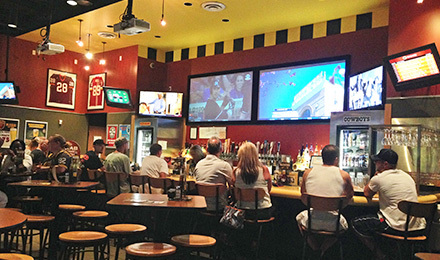 "Mike at Get Digital recently installed a large screen television in our home. He suggested we consider the Sonos PLAYBAR to complement the television and truly deliver a theater experience in our family room. We took Mike’s suggestion and now have unbelievable sound quality and a system that unites other audio components all controlled with our smart phones or tablets. Additionally, I gave Mike a one week timeframe and he was able to bring it all together and installed on time. Expertise and great service!" "We were building a new house, and told our contractor we wanted all of our speaker wiring to be behind the walls. He put us in touch with Mike Kemp from Get Digital, who came out to the home site and made some specific recommendations based on our wants and needs. His ideas, when they came to fruition, resulted in a truly professional installation that exceeded our expectations. Post installation, Mike was never hesitant to answer questions, or even come over to explain something to us. 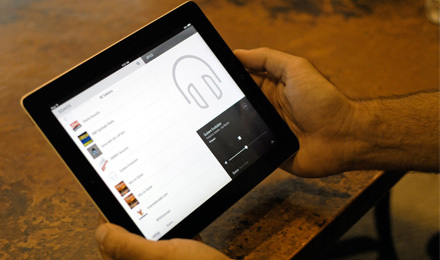 I can wholeheartedly recommend Get Digital for all of your audio video system needs." "For anyone who has built a house and had to deal with many contractors, you know what a nerve racking experience it can be supervising their work, dealing with those who tend to cut corners or simply are not reliable. Mike was one of the few we never had any hesitations about. He’s a true professional. That combined with his Superior industry knowledge will keep us coming back to him every time we have an Audio/Visual type need. We recommend Get Digital and Mike Kemp to anyone looking for quality products and outstanding service." "I met Mike about four years ago in which he came and did some home theater work for me. The work he did for me was excellent, neat and reasonable. He has done several things for me and every time it is the same amazing installation. Not only do I have an awesome home theater installer for life, I have also gained a very good friend. Thanks for all you have done Mike, you have been dependable and you always do a great job!!!" Get Digital can help you recreate the ultimate cinema experience in your home. Our theater rooms rival the performance of the finest commercial movie theaters. 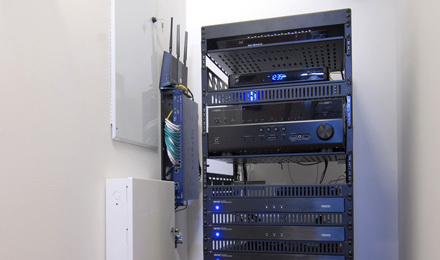 Specializing in structured cabling design, installation and infrastructure overhauls, Get Digital can help with your wiring needs; from CAT5e/6 to fiber optics. Get Digital can install multi-zone systems that provide different audio sources throughout your home, including the outdoors. Does your Richmond area business need the latest in audio and video? Contact Get Digital today and let’s make it happen.